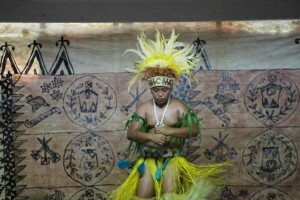 It is often said that what defines the Cook Islanders from their neighbours is the call of the drum. Considered some of the best – arguably the finest – entertainers in the Pacific, Cook Islanders (especially the Aitutakians), come by this reputation honestly. Last Friday a group of talented Araura College students proved this statement to be correct. The Prince Edward Hall was the venue for the 2015 Araura College Dancer of the Year Competition. Thirty Six junior, intermediate and senior dancers (including four staff), all represented their respective houses and wowed the large audience with their talents. All dancers performed an action song, a slow beat and a fast beat. 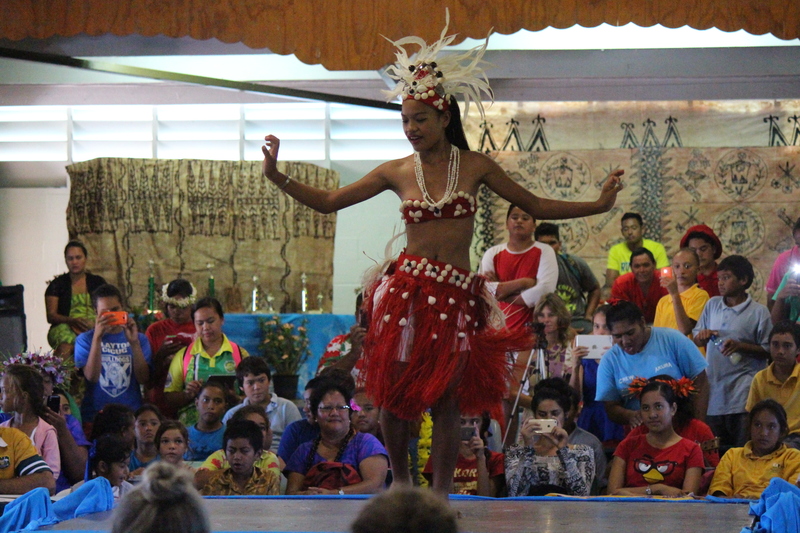 The dancers were judged by respected cultural members of the Aitutakian community and the winners received prizes donated from local businesses, members of the community and staff and students of the school. Mrs Tukumate Ngatuakana, Mrs Terangi Tamati, Mrs Ana Pareanga, Mr Rata Vaireka, Mr Tupuna Vaireka, Mrs Nora Kitai and Miss Elizabeth Nelio for organising the event. To the drummers: Teremoana Aurupa Jnr, Hinau Monga Jnr, hinau monga snr, Junior Tako, Chris Tako, Teokotai Monga, Terei George, Maine Reva George and Kimiora Pareanga. To the musicians / singers: Teremonana Aurupa jnr, Hinau Monga jnr and Hinau Monga snr and to our sponsors: Vaka Cruise, Neibaa Store, Tamati family and Vaikoa Units, The business People of Aitutaki, The Students and staff of Araura College, Aquilas, Pacific Resort, Utariki Bishop, Te Tumu Korero Dance Group, baby Beniamina-o-Pita and dad, miss Elizabeth Nelio, Timani and Pativai Ngatuakana, people of Aitutaki, Vaipae housie, Are Umu and Mrs Rangi Pauka. And a huge congratulations to all the dancers that not only spent their nights and weekends practising but had the courage to showcase their talent. The list of all dancers and their places can be seen on our Face Book page (www.facebook/arauracollege.com).